Spring is here, and along with it comes a whole lot of green. At Air Specialist, we’re going green as well, and we want to keep you in the loop. We have some advice for you on how to keep your HVAC system “green,” and it might even save you some “green” in the long run! Not only do HVAC systems break down, they also lose energy efficiency as they age. The less efficient they become, the more energy they have to use. While any new system will outperform an old one, Air Specialist offers a range of high-efficiency Carrier systems to fit any budget and lifestyle. 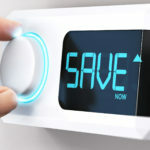 There are zero reasons why you should keep using your old manual thermostat; they offer no advantages. A programmable thermostat allows you to set a specific temperature while you’re at work or our running errands during the day, and it’ll adjust for when you come home! These thermostats allow you to save money by minimally running your HVAC system while your home is vacant! Anyone with west-facing windows know just how hot a room can get as the afternoon rolls around. Texas afternoons are no exception! Be sure you’re utilizing your curtains, blinds, and shades effectively as they can help keep the rooms in your home cool. You may be tempted to let your favorite uncle come over and install your new HVAC system – all for the “low fee” of his favorite type of pizza. If he does manage to get it up and running, chances are he missed something, and this could impact the efficiency of the system. He may have saved you some money in the short term but in the long term you could be looking at more frequent repairs and servicing which could become costly. Air Specialist Heating & Air Conditioning is your go-to HVAC expert in the Houston area. We’ve been serving the Houston metro area since 1970. If you’re looking for a trusted partner to take care of your HVAC needs, then look no further than Air Specialist. If you’re interested in scheduling a service, feel free to call us at (713) 481-1305 or schedule online.